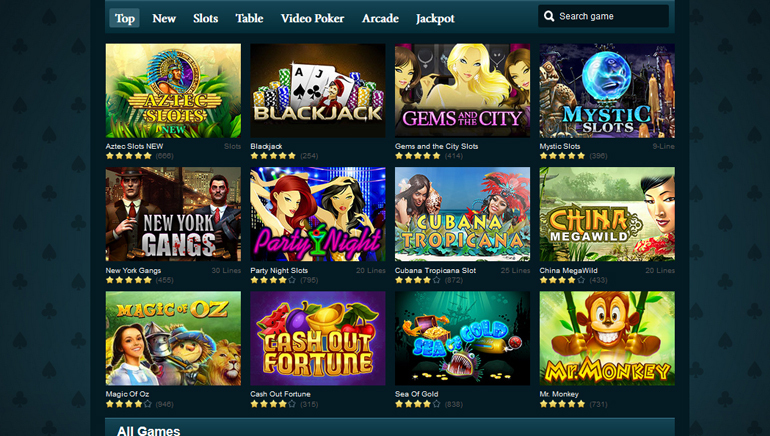 Another newcomer to the online casino scene, Calvin Casino offers a classy gaming experience filled with generous bonuses and a wealth of different games by many of the best-known game suppliers. Licensed and regulated by the Government of Curacao, Calvin Casino offers additional reassurances for their players as all of their games have been independently tested for fairness by iTech Labs, one of the most reputable independent auditors in the industry. 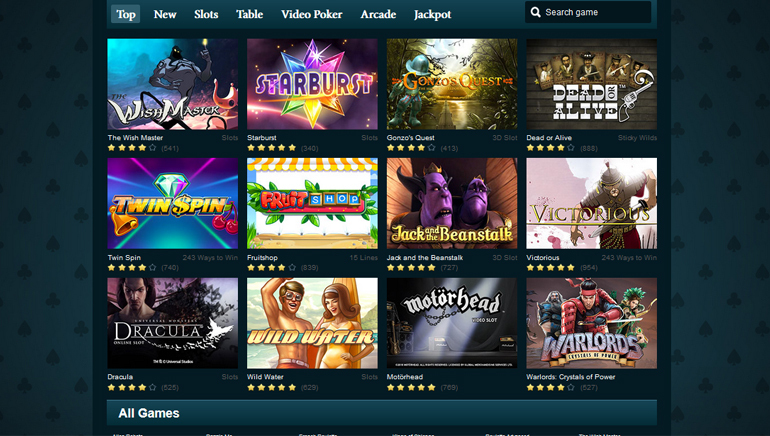 Calvin Casino is powered by 1ClickGames platform, a white-label casino software solution that's been growing increasingly popular with online operators. The site features a dark-green background, giving away an air of a serious business enterprise players can trust. 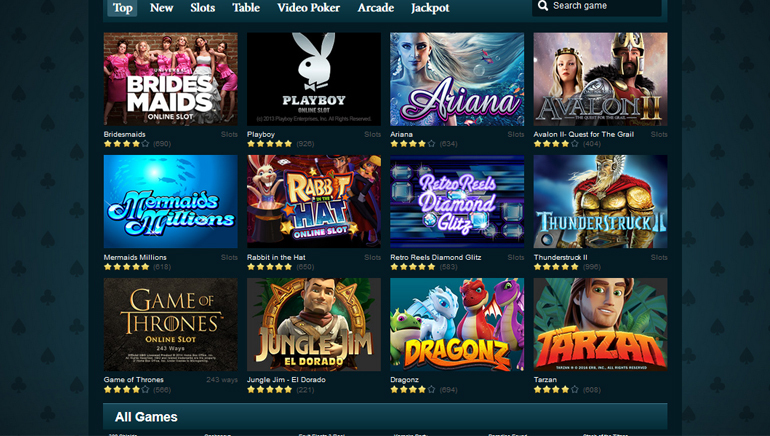 All the games and account options are available through the instant play casino, which can be accessed from desktop and mobile devices of all makes and types (Androids, iPhones, etc.). With no need to download or install anything, Calvin Casino allows their players to enjoy their favorite games anytime, anyplace. 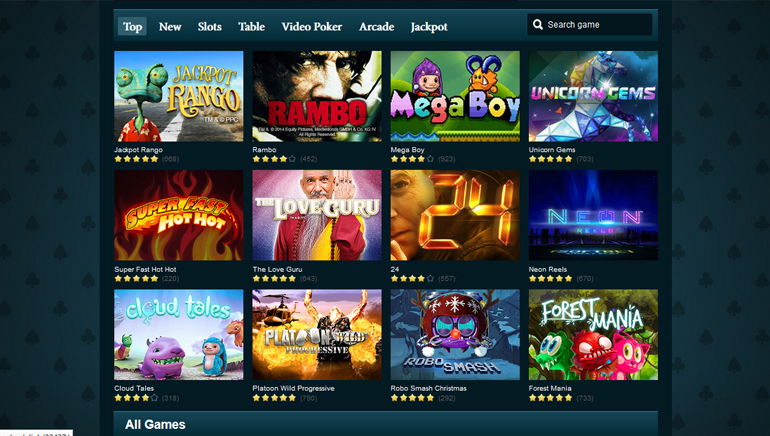 As mentioned, Calvin Casino features a huge number of games by some of the biggest game suppliers like NetEnt, Microgaming, Playson, Pragmatic, iSoftBet, MrSlotty, and Betconstruct. From hundreds of slots to table games and Live Dealer tables, this online casino caters to all the different players' preferences. In the slots department, the casino offers a number of jackpot games, including ever-popular Mega Moolah, Cash Splash, King Cashalot, and Major Millions. Other than this, you'll find a great mix of classic titles and brand new releases, making sure there is never a dull moment. From the established games like Ariana, Immortal Romance, or Break Da Bank to new products such as Huangdi The Yellow Emperor or Tarzan, Calvin Casino has it all. Video poker aficionados will find a very decent selection of games with All American, Jacks or Better, Deuces Wild, Tens or Better, and more. Those who are into classic table games aren't forgotten either, as Calvin Casino offers several versions of blackjack, baccarat, and roulette. If you prefer trying your luck against living and breathing dealers, there is also a Live Casino, featuring roulette, baccarat, blackjack, and a few casino poker games. All new Calvin Casino players can claim a really generous first deposit bonus which will give a serious boost to your bankroll and give you a lot of room to explore the casino. On top of that, once you're done with the bonus, you can easily claim heaps of free spins by contacting the support department - there are no additional requirements or further deposits you have to make to claim these free spins. Calvin Casino offers its players an opportunity to deposit, play, and withdraw in a number of global currencies like EUR, GBP, USD, AUD, CAD, NZD, DKK, SEK, NOK, and even Bitcoin. Making deposits and withdrawals shouldn't represent a challenge, as the casino accepts many popular methods like Visa, MasterCard, Neteller, Skrill, ecoPayz, Giropay, Qiwi Wallet, Cubits, Zimpler, Paysafecard, wire transfers, and more. The minimum deposit is $/€10, while the minimum withdrawal is $/€25, and withdrawals are limited to once a week. The Calvin Casino customer support team stands ready to assist you, and you can reach them via email and Live Chat. Do note that Live Chat is available Monday-Friday between 08:00-20:00 CET, while email support is available on weekends as well.